Add a touch of vintage elegance to your wedding tables with our Grandma’s pressed glass vase. It can be used to hold small tea lights or dainty flowers. 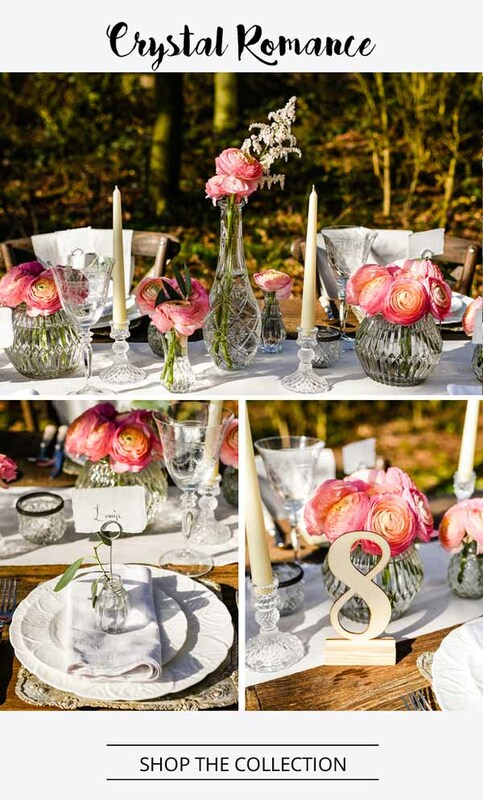 We think the combination of crystal glass wedding decorations and pink blooms looks gorgeous, and it will add a pop of colour to your tables. 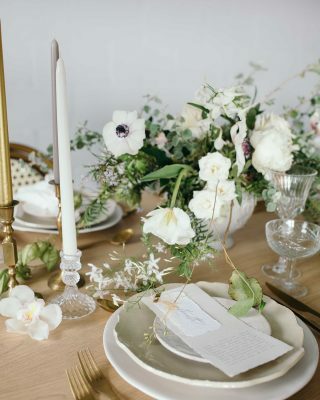 Instead of using a traditional wedding centrepiece in the middle of the table, we styled a wooden trestle table with our natural cotton table runner and small glass vases bursting with beautiful blooms. 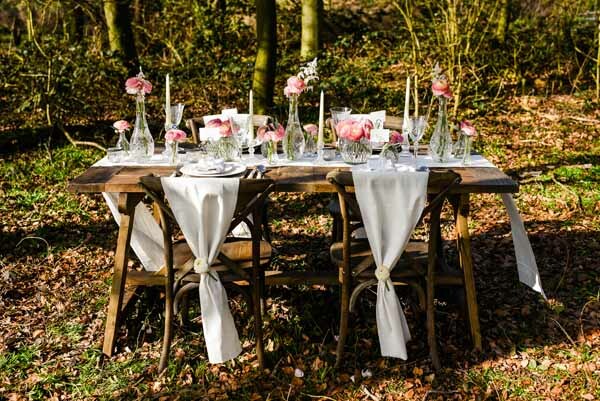 Using a neutral table runner means you can incorporate any colour scheme into your table styling. 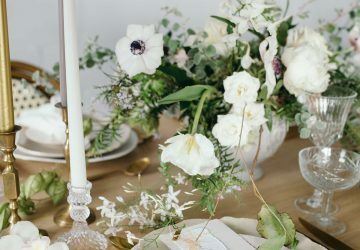 White flowers and lots of greenery will look equally elegant, or you could create a Summer vibe by using an array of different colour flowers. 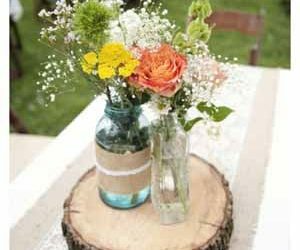 We suggest lining your table with a variety of different vases and jars, as the mix and match style will add an extra special touch. The design is so simple, yet really does look stunning. 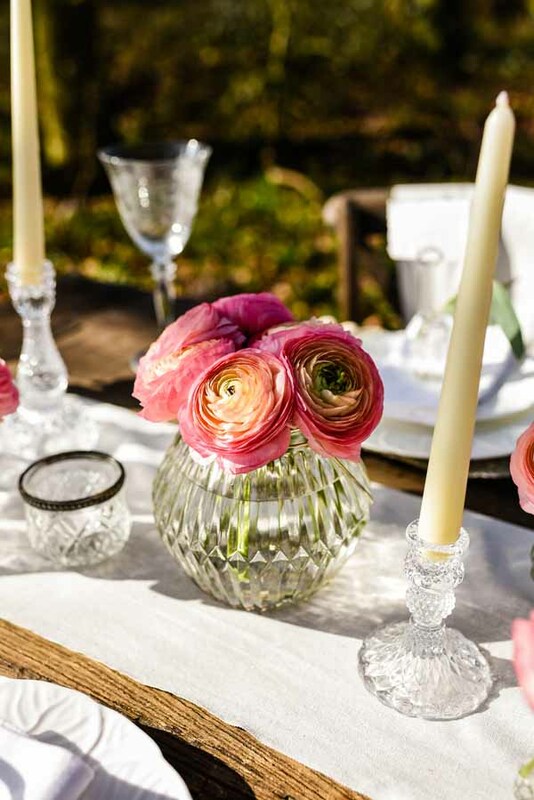 Decorate your place settings with neutral napkins and our glass bud vase name holders. 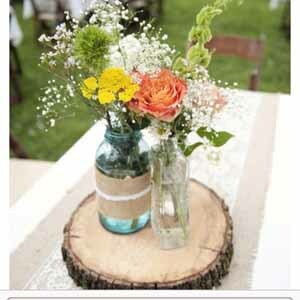 The bud vases look delightful filled with a single flower, and your guests can then take them home as wedding favours. 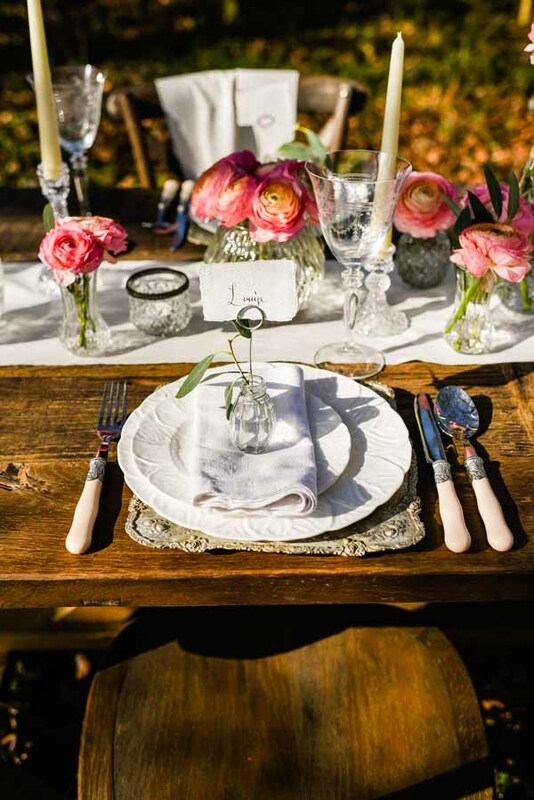 They’re the perfect way to show your guests to their seats, as well as adding a dash of romance to their place settings. 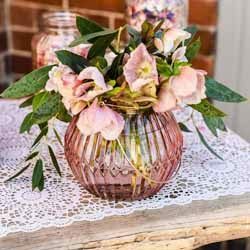 If you want a statement centrepiece that oozes elegance, look no further than our clear glass vase. 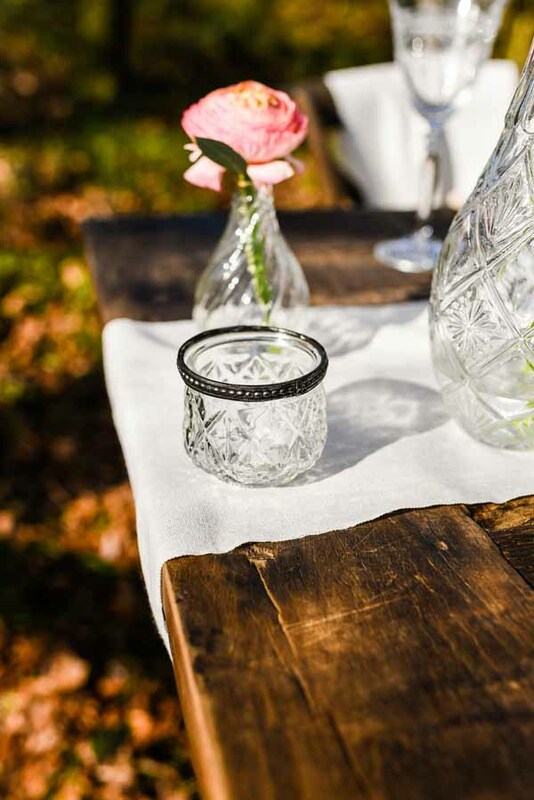 Surround it with tea-lights, smaller vases or even our clear glass candle sticks. They will also help to add a magical warm glow as the evening draws in. What could be more elegant on your wedding day than a touch of calligraphy? 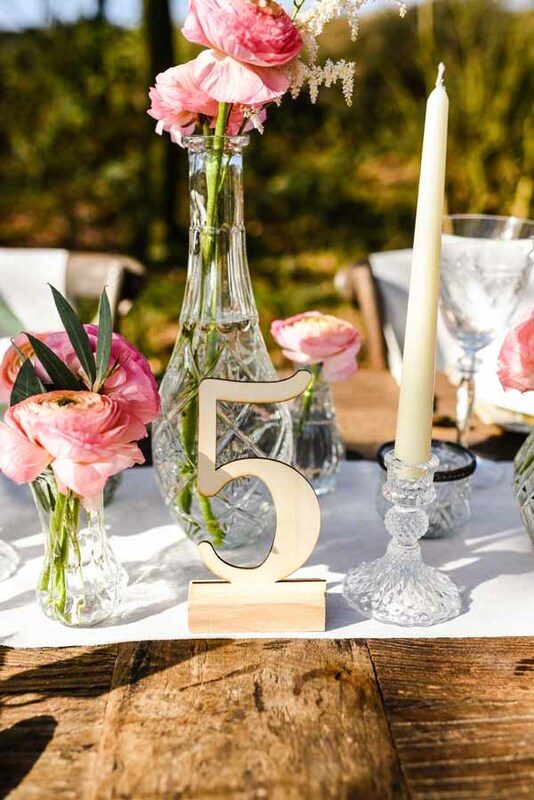 Our wooden table numbers are a gorgeous addition to any wedding table – no matter what your theme, colour scheme or style may be! 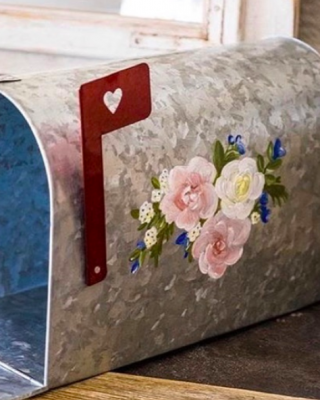 Plus, they’re super versatile as they can even be spray-painted. 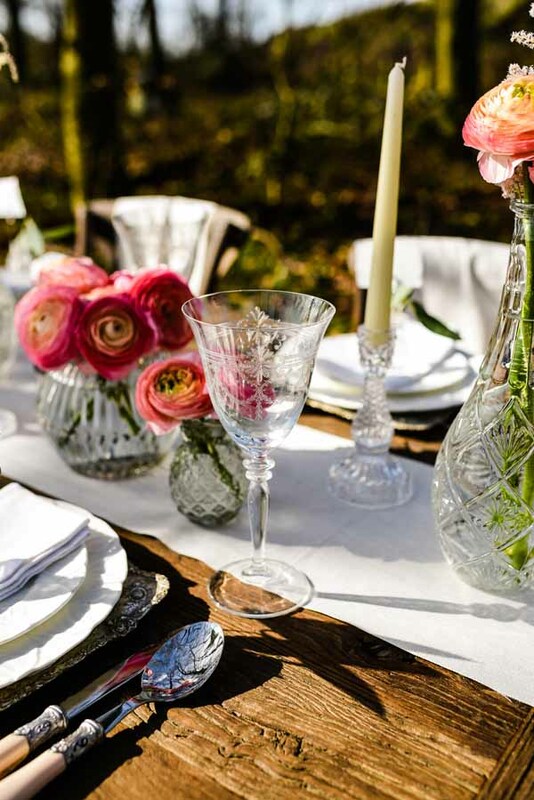 Serve your wedding drinks in antique-style glasses – they’ll fit in effortlessly with your crystal glass wedding decorations. 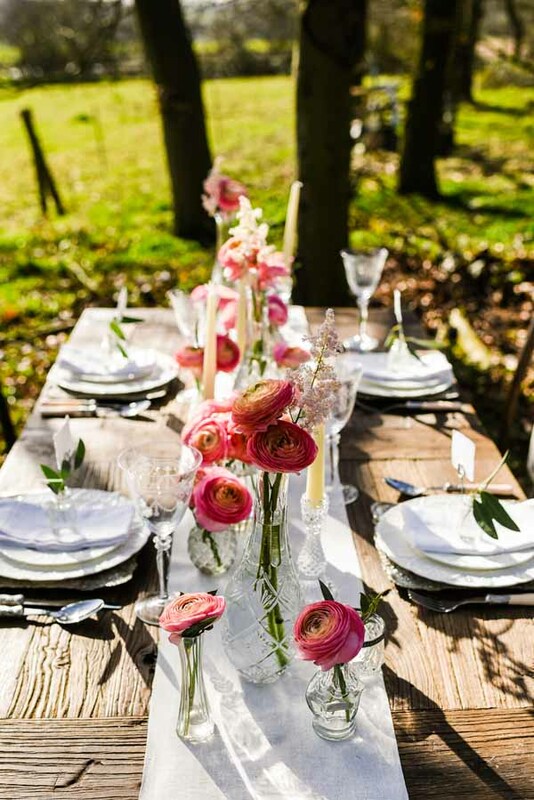 Styling your table with crystal glass wedding decorations will look ultra-romantic, and we can promise you that your guests will be smitten! 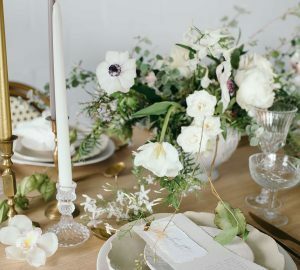 Tie your table styling in with the rest of your wedding venue, by dotting glass candle sticks, tea lights and vases along any window-sills, fireplaces or along your gift table. 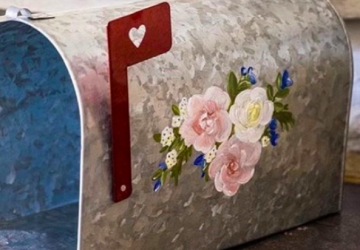 You could also place a few at the entrance of your wedding venue or next to your wedding guest book. Take a peek at the rest of our Crystal Glass Wedding Decorations here.